Hallucination Realized and Tomb Warden are going to small tour! Continue reading Hallucination Realized and Tomb Warden are going to small tour! Debut tape from Whammer is out! More info at Bloody Scythe records! Continue reading Debut tape from Whammer is out! Minimum Wage Assassins is preparing for tour! Continue reading Minimum Wage Assassins is preparing for tour! Split Botched Anastomosis J-Pouch/Couple Skate! More info tba! Continue reading Split Botched Anastomosis J-Pouch/Couple Skate! More info tba! Big news from Haunted Hotel Records! Split lp Birdflesh / Organ Dealer is out! 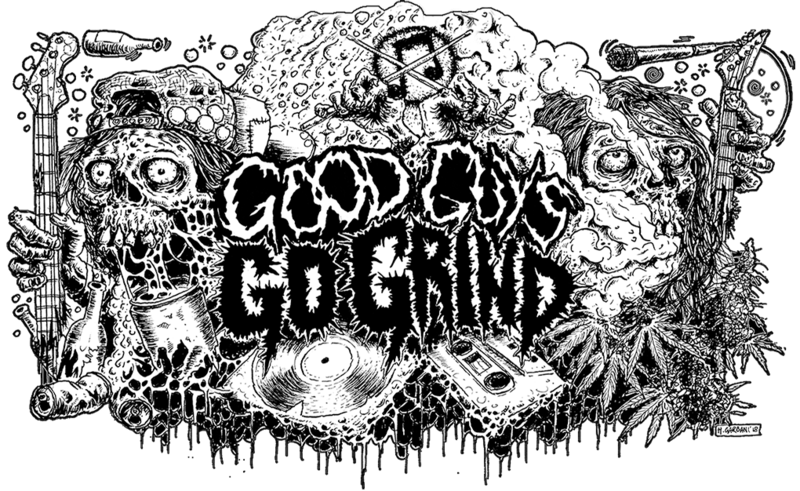 9 traxx of grindcore chaos! Sweden vs New Jersey! Limited blood red swirl vinyl for hhr mailorder only! Continue reading Big news from Haunted Hotel Records! Split lp Birdflesh / Organ Dealer is out! Continue reading Short tour from Depraved! Continue reading Morbid Reality rec is celebrating its 17th Anniversary! Heinous and Röntgen on tour! Continue reading Heinous and Röntgen on tour! First looks at Durian / God’s America split! This 7″ will be released by Bloody Scythe Records. More info soon… Continue reading First looks at Durian / God’s America split! New album from Noisem will be out in early 2019! Continue reading New album from Noisem will be out in early 2019! New merch from Haggus will be printed soon! stay tuned Continue reading New merch from Haggus will be printed soon! Continue reading Rotten Sound and Implore are preparing for huge tour! Continue reading Split Sordo / Powerxchuck will be out in early 2019!